If you happen to be part of the 1 in 5 Aussies and Kiwis who suffer from hayfever or seasonal allergies (also known as allergic rhinitis), you have probably heard of the class of medications called antihistamines. 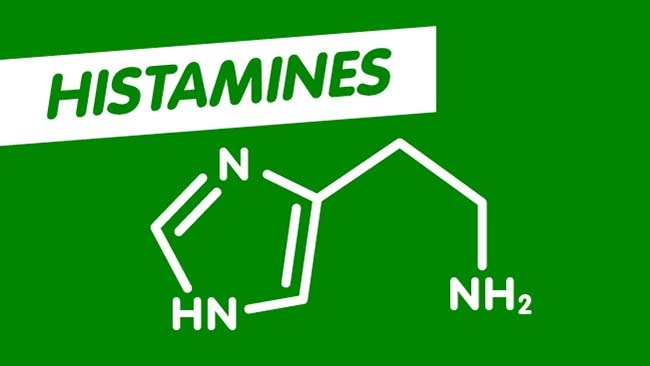 As you might have guessed from the name, these drugs are anti (against) histamines. So what, you may wonder, are histamines? When your immune system takes offence to some outside particle or substance, this is called an allergy. In the case of allergic rhinitis, as your body produces antibodies to attack this normally harmless substance, specialised cells in your nose release a chemical called histamine, which tells your body to make lots of mucus (hence your runny nose), the blood vessels in your nose to swell (nasal congestion) and your eyes to itch and water. An antihistamine is used to stop this histamine release, helping to put an end to your misery so you can get back to doing what you want to do. Antihistamines work by blocking histamine receptors in cell membranes—the part of the cell that is activated by histamine, leading to the allergic reaction. In simpler terms, these drugs keep your immune system from reacting to the allergen. After all, because that allergen isn’t actually dangerous, you don’t need your body to work so hard to get rid of it. What kinds of antihistamines are available? There are a number of products on the market that can effectively ease your allergy symptoms and get you feeling your best again. Oral antihistamines are available as tablets and liquid-filled capsules. These products can relieve your worst symptoms quickly, and last a full 24 hours. For children, easy-to-swallow liquid antihistamines that offer 12 hours of symptom relief. Nasal sprays provide targeted relief in minutes, and are convenient when you need on-the-go treatment that lasts for hours. For itchy, watery eyes, antihistamine eye drops work quickly at the source of the discomfort, easing symptoms and helping you see clearly again. The important thing to know is that you don’t have to put up with your seasonal allergies or hayfever. Stop missing out on life’s important moments, and take control over your allergy symptoms for good.